WordPress, the open-source blogging and content management platform we all know and love, has revolutionised the way people not only create, but surf the internet. Its template and plug-in architecture means that there is a wealth of community-led customisations that allow users to tailor their specific experience to suit themselves and their particular audience. WordPress doesn’t just present a niche sector devoted to bloggers, almost a quarter of the top 10 million websites in the world are based on WordPress. Whatever you want to do on your website, chances are there will be a plugin available that can installed to achieve your goals. One of the top plugins that almost every website needs is to maximise the search engine optimisation of your site. It’s no secret that we love a bit of SEO and it’s a big job that can take time to get right, but some of these plugins can give you a great start and make sure the basics are right. Let’s take a look at the top 5 SEO plugins available now! These days, if your website doesn’t have a social media presence you’re already on the back foot. 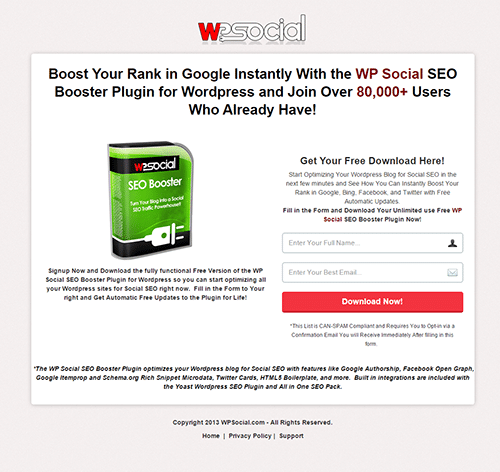 WP Social is an SEO plugin that helps you change that. Google (and other search engines) have long since taken social media into account when ranking webpages, so taking advantage of this can only help your cause. WP Social makes adding social media sharing buttons, Twitter meta data and even the use Facebook’s open graph tag much easier. It also integrates well with other plugins including many of those listed here. Plans starting from $5 a month. 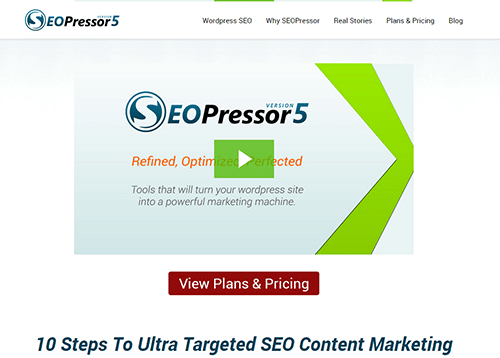 SEOPressor is one of the most powerful SEO plugins available for WordPress. It has the ability to manage everything on your website including your posts, pages and even custom post formats. 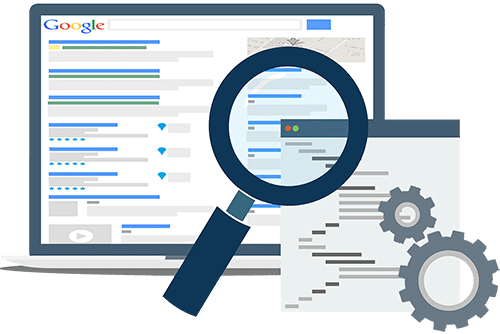 It also contains a post and page analysis algorithm to calculate the SEO statistics of your content, giving you a rating out of 100 so you can alter it to increase the score. One key feature of SEOPressor is its internal linking feature to assign hyperlinks to specific words or phrases. Once your new page is posted, the words you have selected will be linked automatically. That’s one less job for you to do! Search Engine Optimisation is a huge concept to get your head around. If you’re learning your way around the very foundations of it, then a good plug-in to have in your corner is Squirrly’s own plugin called, predictably, SEO. The great thing about it is the weekly SEO audit reports that the plugin provides. Another feather in its cap is its ability to optimise your content and almost instantly measure its success, allowing you to tweak content as you go. It helps you create original content that is both Google and person friendly. It guides you to differentiate what a search engine is looking for and what a human being might be searching for. Technically, very different things. 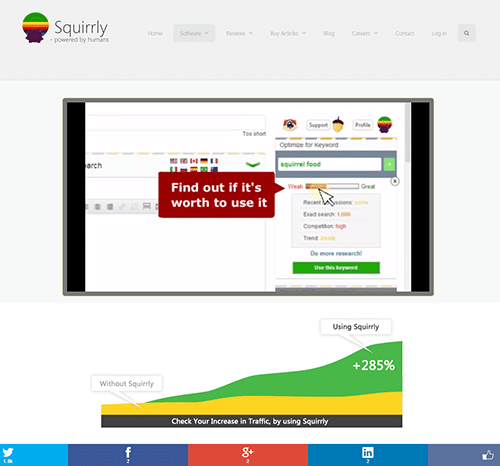 If you’re bamboozled by SEO, then SEO by Squirrly is a great place to start. Knocking on the door of the number one slot is the All in One SEO Pack. There are actually two versions of this plugin, one free and one premium version you have to pay for. Either way, if SEO seems like the world’s most difficult mathematical puzzle you could never solve, then this plugin is perfect for you. It’s power comes in its ability to automatically generate meta descriptions using predetermined best practice. It can even add alternative tags to all the images you use, a much undervalued feature that allows search engines to understand the graphics on your site and allow them to help your page rankings. It also has fantastic support for e-Commerce. 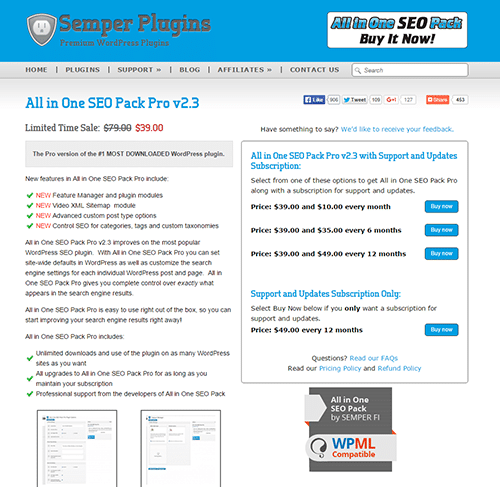 If you’re looking for one of the most powerful SEO plugins, this is a must have. Of all the SEO plugins available, the best, and probably the most popular, is WordPress SEO from Yoast. It has been downloaded over 18 million times and has a review score of 4.7 out of 5 so it must be doing something right! It didn’t get to that level by accident. It was developed by world renowned SEO expert and plug-in developer Joost de Valk. He knows that SEO is an art form with many facets to consider so, as you would expect, Yoast’s plugin handles all of them. In many ways it’s the ultimate SEO package. It includes all the basics such as XML Sitemaps, meta tags right through to RSS optimisation and social media integration. If you’re wanting your site to be found by search engines, it really is the best SEO plug-in currently available. So there it is! We hope you found it useful and would love to hear from you if you think we might have missed a good one. If you dont have any SEO on your site, have a try with these (Yoast if you can) and you’ll be up and running in no time. As always, we are here if you need any SEO support or just some help getting it running.